I don&apos;t know about you, but every year I tell myself I&apos;m going to get my Christmas shopping done early, but then I inevitably end up searching frantically on Christmas Eve for presents more heartfelt than gift cards for the last few people on my list. 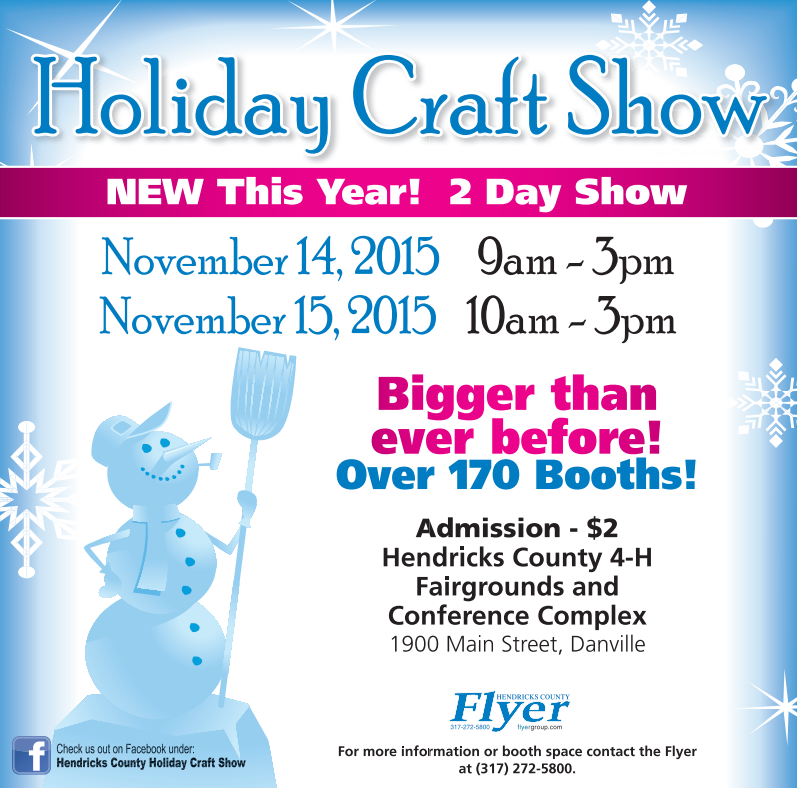 To make things a little easier on myself this year, I plan to attend the Holiday Craft Show Nov. 14-15 at the Hendricks County 4-H Fairgrounds & Conference Complex, where there will be more than 170 vendors in one location. With everything from candy to handmade jewelry, I&apos;m sure I will be able to find something for everyone. Cathy Wilson, business manager at The Hendricks County Flyer and organizer of the show, said the show has grown from about 100 vendors to 180. Wilson said attendees will be pleased with the range and quality of items available at the show. Her favorite items, she said, are chocolate-covered cookies and pretzels. Shoppers can also find items such as candles, Christmas decorations, toys, homemade soaps, gift baskets and more. Concessions will also be available from non-profit groups. The show runs from 9 a.m.-3 p.m., Nov. 14 and 10 a.m.-3 p.m., Nov. 15, at the fairgrounds complex, 1900 E. Main St. in Danville. Admission is $2 at the door.